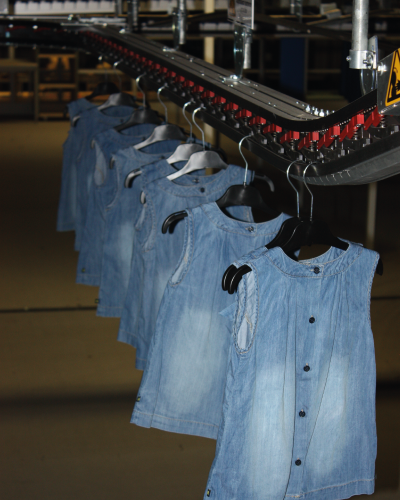 JBC is one of the largest fashion chains in Belgium and Luxembourg. It became a very trendy fashion brand over the years, and the company renews ready-to-wear collections for women, men and children in its 137 stores on a regular basis. An e-commerce service complements the sales force, and turnover has been growing steadily in recent years. Following the growth and opening of new stores in the Benelux region, JBC had to anticipate the growth of its business and the capabilities of its logistics centre located in the province of Limburg. 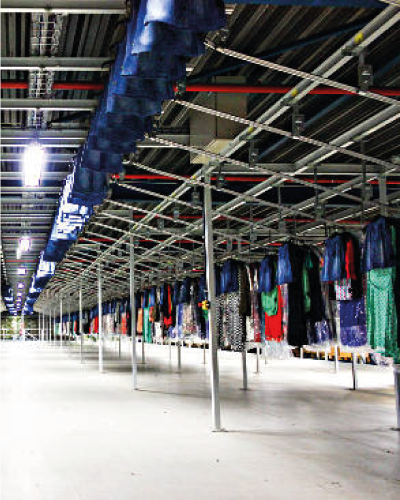 Warehouses have been extended by 5,000 m², and modernisation and increase in sorting capacity now allows for items to be shipped to a network of 180 stores. 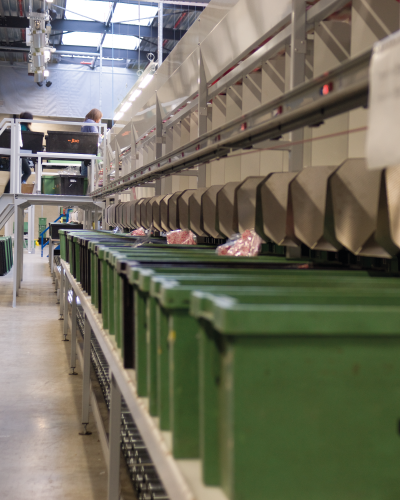 To meet the needs of the customer and the growth of the company, TRANSITIC has implemented a network of conveyors and a suspended sorter with 180 sorting stations feeding the 20 loading docks. This facility can sort up to 6,000 pieces per hour, providing the platform with all the logistical capabilities that current and future stores will need. 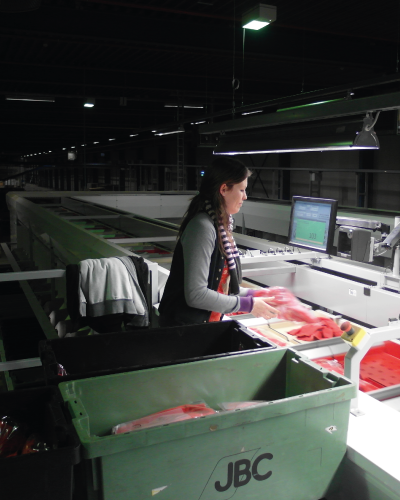 In parallel, TRANSITIC’s partnership with Equinox has upgraded the existing installations with a new sorting machine for sorting folded items in synergy with an automated buffer system downstream and upstream of the sorting machine. A robotic palletising system has also been added to allow JBC to meet its growth objectives.